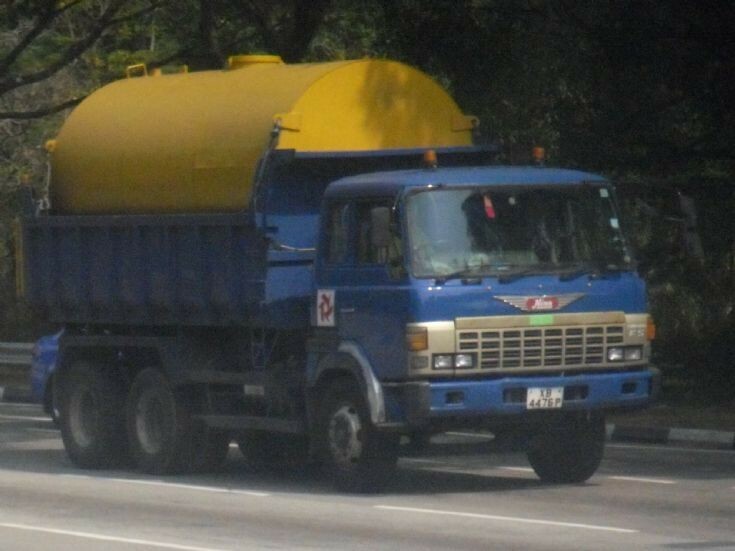 A FS Hino Super Dolphin Dump Truck belonging to Samwoh Resources Pte Ltd comes with a water tank as seen along Mandai Avenue in Singapore. This model of Hino dump truck is very rare now as it is going to be scrapped soon. Photo taken in 2010.